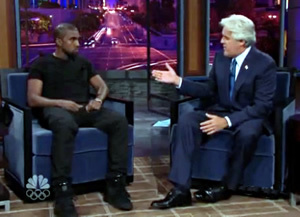 The Jay Leno Show, cancel or keep? In one of the riskiest strategies in television history, NBC has scheduled The Jay Leno Show to run five nights a week. The other networks have publicly scoffed at the plan but they’re also waiting to see if it’s a success. If the show pulls in big ratings over the long haul, you can just bet the other networks will try something similar. As expected, last night’s premiere of The Jay Leno Show attracted some very hefty numbers. Approximately 17.66 million viewers tuned in with a 5.1/13 rating/share among the 18-49 demographic. That’s over 13 million more people than were watching an edition of Dateline a year earlier. After a Summer of build-up and hype, these ratings aren’t a surprise. In addition to peaking viewers’ curiosity, NBC carefully placed the debut in the plum spot behind a two-hour edition of America’s Got Talent. They also took care to introduce Jay Leno before the other networks debut their new season. Should The Jay Leno Show be cancelled? The real test of course will be to see how Jay Leno performs over time. Naturally, NBC hasn’t said how low the numbers have to go before they start to make changes. But, considering that the program is cheaper to produce than most other primetime fare, they may be happy with third place with occasional bumps in viewership. If the ratings go too low, the network would likely try running the show just a few times a week. As to the show’s content, the reviews have been middle-of-the-road at best. As he was on The Tonight Show, Leno is very affable and his comedy is likely only to offend politicians and crazed celebrities. It’s safe, non-challenging programming and that may be just what people want at that hour of the night. We’ll have to wait and see. What do you think? Did you or will you watch? Would you make a point to watch it over some other show? Will it reduce the size of The Tonight Show audience? JAY LENO IS NOT FUNNY!! As much as I love Jay, I don’t think Conan or the rest of the line up for the late night times should change. Conan is OK and hopefully won’t let all this effect his performance. btw – It took me a month or so, but I loooooooooooove Fallon’s show. I think Jay should just be on for 1/2hr at 10:30pm. Don’t cancel it! I enjoy watching the monologue @ 10pm!! As I will never watch it at 11:30!! What was the point of RETIRING???? CANCEL it! Never understood why they brought him back at all. Once he’s totally gone, Conan will do much better. What happened to retirement for Jay? Take a break!! keep it going! leno is a real american who makes you laugh and also a really cool car guy. Cancel it! What a stupid move on NBC’s part. I think all of them need to be fired, because they apparently don’t have a clue as to what their viewers want to see. They had some wonderful shows on NBC, and let them go for a primetime talk show. Dumbest move in TV history. Bring back LIFE, and Friday Night Lights! Cancel Leno America has had enough. Do the right thing bring back Earl!!!!! !